On Monday night, July 20th, Our precious Goldie laid in our arms for the first time as she took her last breaths. These ten days were the most amazing, profound, heartbreaking, and life changing days we’ve ever had and maybe will ever experience. We want to share our story of saying goodbye to our baby girl. Every morning in the NICU Dr’s and nurses do their rounds and meet outside of Goldie’s room to discuss everything that is happening with her; what medications they are trying, which procedures are being done and what their next course of action is. Since Goldie was in such critical condition, and the cause was still a mystery, there was always a large group there for educational purposes and multiple Neonatologists present to discuss various options of treatment. David and I usually attended these rounds but on Monday we decided to take advantage of a good night’s sleep and not rush to NICU in the morning. My Dad had been sleeping on a couch in the hospital for the past 4 nights. He woke up and attended rounds and then afterward walked down the road to the place where we were staying. He sat down in our room. Fighting tears, he told us that at today’s rounds the doctors agreed on the fact that Goldie’s condition had only gotten worse over the last 10 days. Her kidneys showed no improvement or much sign of functioning at all, recent X-rays showed more signs of bleeding in the brain, and we were still in the place of having to fully support her heart & lungs, while her pain continued to increase. All of this lead the Doctors to present the question “how long do we want to keep supporting this little deteriorating body that is living in discomfort?” These facts weren’t news to us. 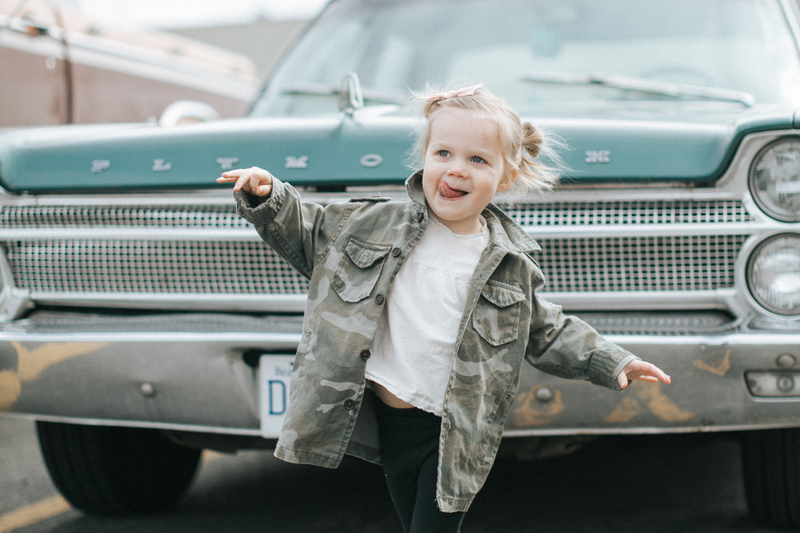 We’ve known all along the state of her body and it’s progress (or lack of) each day, but of course we clung to a bit of hope that things might miraculously turn around. Later in the afternoon the doctors sat down with David and I to tell us that they didn’t see Goldie recovering. David and I had agreed the day before that when/if the doctors ever thought that moving to palliative care was in Goldie’s best interest then we would trust them in that. Once we knew that they didn’t see Goldie’s body recovering, we felt it would be selfish to keep a heart beating in such a sweet, innocent body if it wasn’t leading to her getting better. They told us that it was completely up to us how long we wanted to continue care for Goldie, whether it be hours, days or weeks. David and I came to the decision to withdraw care that night, as soon as our immediate family could all be there. We called the family and told them to start driving. We went through the process of deciding & telling the doctors how we wanted that moment to play out, and all the other hard & emotional decisions that needed to be made for after Goldie passed. David, Poppy & I spent the afternoon basically pacing, grieving, and waiting. Our parents & siblings had all arrived by 7:30 pm and we all sat in a room outside the NICU, praying together through tears. David’s brother Matt read out Psalm 139 before the family went in couple by couple to say goodbye to little Goldie for the last time. “O Lord, you have searched me and known me! you discern my thoughts from afar. behold, O Lord, you know it altogether. Where shall I go from your Spirit? Or where shall I flee from your presence? If I ascend to heaven, you are there! If I make my bed in Sheol, you are there! and your right hand shall hold me. for darkness is as light with you. you knitted me together in my mother’s womb. I praise you, for I am fearfully and wonderfully made. my soul knows it very well. After our family all said their goodbyes, David and I made our way to Goldie’s dimly lit, machine filled room for one last time. I sat down as the nurses switched over her respirator to one more mobile so she could be transferred from the bed to my arms, and they increased her dose of pain medication so she could lay with us comfortably. Since I laid my eyes on Goldie 10 days earlier I ached for the moment she would first lay in my arms, no matter what circumstance it was under. Then that heart beat beneath my hand stopped, her body was still and overcome with peace & rest. I cried over her until I could get the words out to David that she was gone. We held her hands and her toes, touched her soft lips, tongue, nose and eyes. Her face was filled with more beauty than I have ever seen in a face. I no longer saw her cuts, bruises, blisters, bandages, and tubes. I just saw a purely angelic, beautiful, peaceful baby face with Poppy’s nose, pursed lips and a forehead covered in soft blonde newborn peach fuzz. We went between sobbing, and being completely in awe of the experience. We felt so close to Heaven and God’s presence. It was unearthly to feel my child’s soul leave and meet Jesus. On our drive home we sat silent in a strange place of feeling heartbroken and completely in awe of what we had just experienced. We were overwhelmed with peace, knowing that it was Goldie’s time to go home, and joy for our baby girl. Goldie spent her ten days on earth in a body that was so sick and now she was free from all the pain of this earth and being embraced by God, rejoicing in Heaven. I smile for her just typing that. This 10 day journey was the greatest blessing we have ever received. Constantly playing in the back of my mind is “Blessed are those who mourn, for they will be comforted.” I truly feel blessed that God took our hearts & broke them, making us changed people for his purpose, taking us so much deeper in our faith than we could have ever done on our own. Not once in this experience did we feel betrayed, abandoned, confused, or angry. The “why” the doctors are looking for doesn’t bother us as much as most would expect. 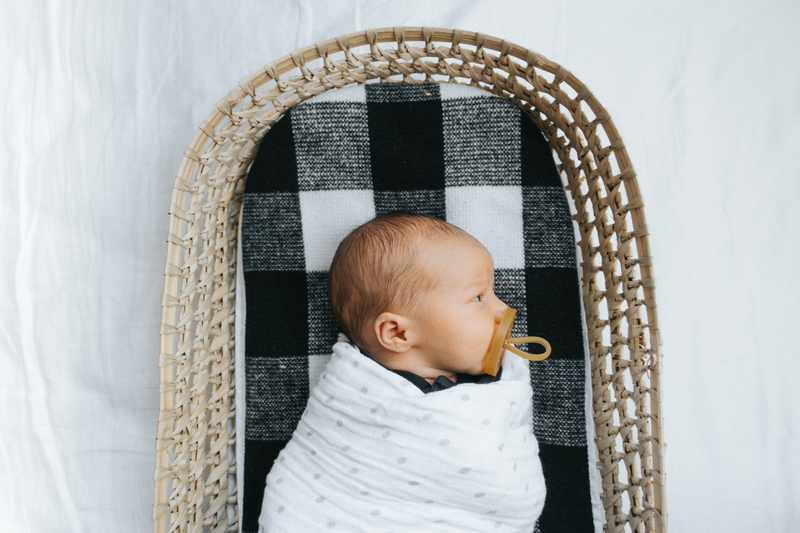 While I was pregnant I held my stomach each day and as I prayed for our growing baby I always included “I pray she would be healthy, but more than that that you would create her exactly as you want to for your purpose.” and God did just that. I don’t try to imagine what life would be like if Goldie grew up, or what kind of little girl she would have become because I believe that God had already written each and everyday of Goldie’s life. There is no 10 year old Goldie that ever would have existed to imagine in our family, there only ever was 10 day old Goldie. She came to us briefly, changed lives, and filled her full purpose on earth. We will forever miss and ache for our baby Goldie. She will always feel like our child and the 4th member of our family. Thinking about transitioning back to normal life is really hard for us. We don’t want to feel like all the little details about Goldie and this special time are being left behind or forgotten. When people ask how many kids we have we don’t want to have to respond “1”. But, thankful doesn’t even begin to describe how much we appreciate the experience of both her time on earth and all the unknown experiences this will lead to in our lives. 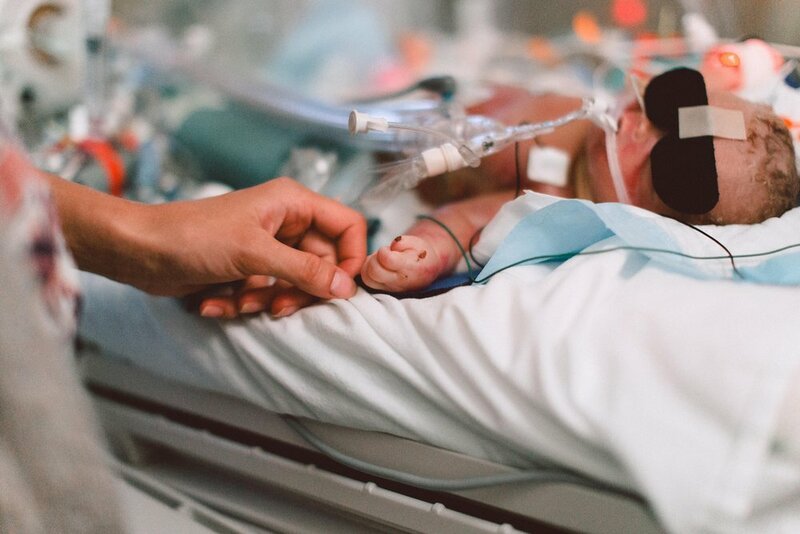 A film generously created by M&Him http://mandhim.com/ documenting the time spent in the NICU with our sweet baby Goldie. 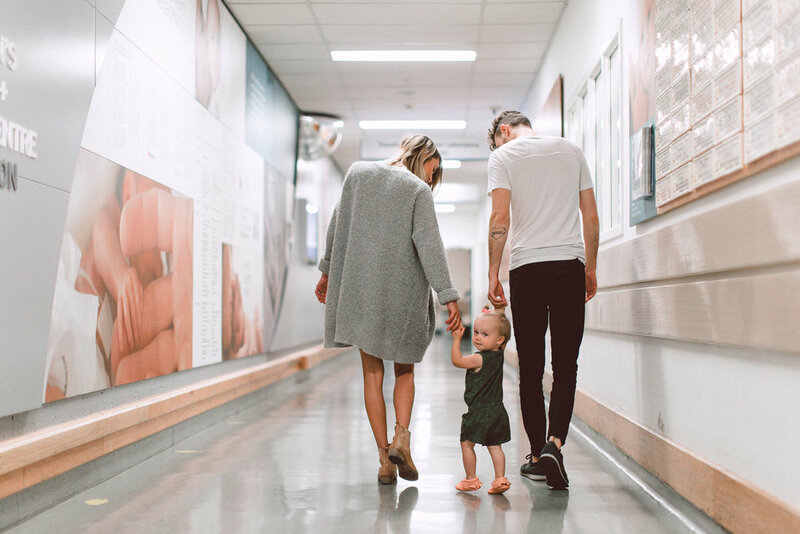 Thank you so much to the talented & generous M&Him Photography for capturing this special time for our family in the NICU, having these memories means so much to us. We also want to deeply thank everyone in this supportive online community for your prayers and love through this entire journey. Even though we haven’t taken a lot of time to respond we read and appreciate your comments & emails, xo. the bravery you had to write this and the peace you’ve had thoughtout this journey is truly inspiring, beautiful and deeply moving. i’m incredibly grateful God has given you such peace and the assurance that his hand is on your family through all of this. i know it’s tempting sometimes to be bitter or angry at God for taking something so perfect from you. but remember, as you already know, she was never yours. God sent her to you and your husband for a time to teach you and show you just how much he loves you both, and now she’s back with her creator. i’m grateful and praying for you guys. Hello, Bethany, David and Poppy. I read your blog and am on instagram for some time now you … I do not usually write comments but your pain touched me deeply. There are no words to express the loss of a child (I am mother of a little girl of 4 years). My thoughts are with you in this trial and I enclose a text that comforted me when I lost my father a few years ago already. Do not bow to the so-called fate. Take in the event that strikes us which is a thrust force for us, for others. Not to suffer what seems to crush us but to keep both hands this panel is for us to lift at arms. Wanting to. To dismiss the heavy slab to finally see the sky. And each of us can see the sky. Life: each of us is a new experience, personal. And all experience, hard or soft, man must draw from the well. There are no events that is vain in life. No fear, no test that are useless. Provided we do not contemplate them, fascinated, as is still prey to a snake, but we will serve them as a support to go further. Having just had a baby, this touched my heart deeply. Your example of faith in God is so incredibly inspiring. I can’t imagine going through something like this, but your positive attitude and outlook help me understand that it is possible if I were ever to face something so heartbreaking. Thank you for touching my heart. I will keep praying for you and your perfect little family. Praying for you and your little family. I’ve seen this happen to a few families I know in this last year and it breaks my heart. I really admire your strength in this, and the fact that you can share it with such poise. Isn’t it great to know that God was right there waiting for her to come back home into his loving arms? I also think it’s great you took pictures and made that little video to always remember those days. My heart goes out to you!! I don’t think I have ever cried so much! I will be praying for your family through this hard time! also know that God has a perfect plan for you no matter what! you are an inspiration to stay strong, be brave, and endore through hardships! Jeremiah 29:11- For I know the plans I have for you declares the Lord plans for welfare and not for evil to give you a future and hope. I hope you stay strong in the Lord and j will be praying for you! May the Lord bless your heart and your family! I’ve been a reader since the beginning of T&T blog and have loved your spirit about life and God. You once wrote a post while you were pregnant with Poppy about how you wish she could stay in the safety of your womb forever, without being exposed to the sin and pain of this world. This post has traces of that similar beautiful heart for your girl. I don’t know if you remember writing it, but it touched me. Praying for a sense of peace in you that Goldie is with Jesus and that she is forever safe from pain and sin, even through the grief you are experiencing. My heart breaks for you and your family, but your strength and beautiful words about your sweet Goldie and your family’s journey have touched me deeply. I have a young daughter and am pregnant with a son and I can’t begin to imagine your pain or how you’ve managed to face this loss with such grace. Your daughters are incredibly blessed to have been born to such loving, amazing parents. Sending you all my love, strength and prayers as you mend your hearts. Bless you sweet Bethany, David, Poppy and Goldie. My heart is heavy for your family, but I’m so glad that you and Goldie have found some peace. It sounds like she was born into exactly the right family. Thank you for sharing your story with all of us. Prayers for your sweet family. God has your little girl in his arms, she no longer feels pain and will be watching over your family! I cannot imagine the anguish of losing a child. You and your family have demonstrated such grace throughout Goldie’s life. I cry for you and have been thinking of you often since her birth. I hope you continue to find peace in the coming days and months. I have been praying for your family since you first shared Goldie’s birth story. I have been so touched and so grieved but mostly so encouraged by you. I cannot imagine all the emotions you and David have been going through, but you are so right when you say that God wrote Goldie’s days to be just as they were. I am so encouraged by the way you have let it all wash over you for His purpose. God wrote Goldie’s story to fulfill the perfect purpose of His glory, and you are fulfilling that purpose also by sharing with us so openly and being so vulnerable. God is being so glorified through Goldie’s life and through your testimony, and I am so grateful for your faithfulness. I continue to pray for your family’s peace and wisdom as you figure out what moving forward looks like and that God will continue to use Goldie to draw others to Himself. What a beautiful tribute to God and to your daughter. I know I’m a stranger to you, but I was so touched by what you wrote. In your time of pain, God is as close as your own breath. May He be always that close as you walk through this time. Praise God from whom ALL blessings flow! I have never read such a beautiful testimony to the incredible grace He extends to us in our darkest moments. I can’t remember when I have felt such joy amidst grief… your experience has touched me deeply, and in that I am not alone. Thank you for sharing and allowing us to witness the brief, but beautiful life of Goldie Bloom. Praying God’s comforting arms surround you, David and Poppy through this loss. You are loved. My heart aches for you and tears flow for your pain. Your baby girl is precious! I will pray for you today and in the days ahead. May Jesus wrap his loving arms around you and comfort you. ❤️ Thank you for your courage! I am so humbled by your story and your ability to trust in God in such a trying time. A song that was brought to mind after I read this was "I want to stroll over heaven with you" by Alan Jackson, my Grandma used to sing it to me when I was a little girl. Praying for you and your family. Amen to your tremendous faith and trust in the Lord’s plan. May He continue to envelope you, David, Poppy and your family with peace, comfort and the reassurance of a home not of this Earth. Sending all the love and prayers your way. Just want to say that your story is very touching and I wish you comfort in your memories. I don’t have word to express the emotions I am feeling right now. Crying for the pain from the gaping whole that is Goldie’s place in your heart, yet rejoicing that through this trial your faith remains ever strong! I paid for Goldie, and your family, as did many others, and I am glad to hear that through this you are strong. May the prayers that are going up for you be like the arms of the people who held Moses’ arm up, keeping you strong when you feel like being weak. i hope you know the power of Goldie’s life will impact people for generations to come, and the legacy her too short life leaves behind is more than most could ever hope to leave! Praying for you and your family! Crying and crying at such a beautiful dedication. I’m so so in awe of your strength and faith in God. It honestly instilled more faith in me by just reading. Praying for your family and thinking of Goldie. I am amazed and so incredibly inspired by the outlook that you and David have on this whole experience. 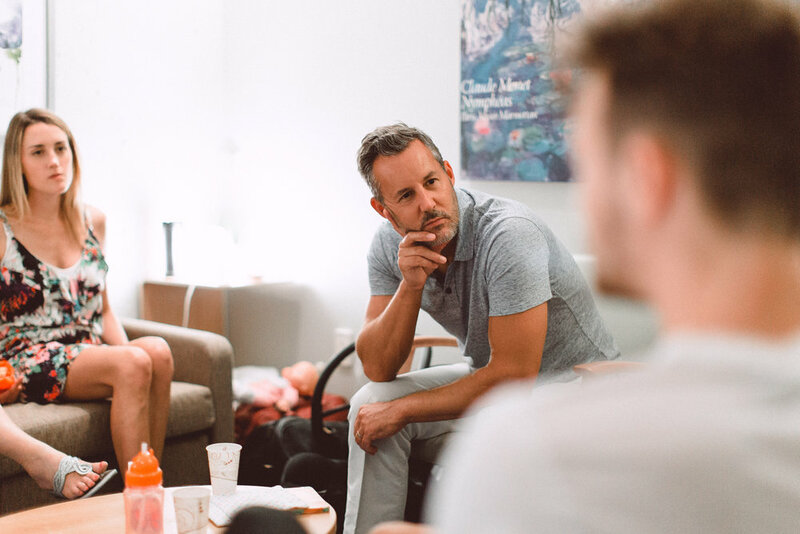 God gives some of us incredibly difficult situations in our lives and we must understand all we can do is learn and grow from these situations. Sending you, David and Poppy good vibes and continually keeping you all in my prayers! You guys are incredibly brave, reading this and hearing your family has had to say goodbye to Goldie breaks my heart for all of you. Taking your time to trace the ocean of thoughts and feelings has been a gift to every reader here. I pray that the blessings and purpose of staying steadfast in God love through this is revealed to you all. I was afraid for this update. I am a believer that our souls live beyond our bodies yet the pain of losing your very own child must be unbearable. My heart aches, I am crying but I know Goldie Bloom came to your life for a reason. You are an amazing family. Take good care of one another. Sending love. I was crying reading your words but I cannot believe how much peace God has given you! I love your words and how He has been comforting you. May God bless your family and bring joy once again to your broken hearts! It’s a horrible thing to live through a passing of your child but she’s home with her Heavenly father who will comfort her and she will know no pain. I have never met you guys or know you for that matter but I came across this article that Taelor posted and it brought me on my knees and to tears. You guys are incredible having endured all this the last 10 days and come through still praising and testifying His name! May you continue to testify,praise, heal, and live in His hands! Bethany, I have fond memories of playing with your husband when we were kids at Green Bay. When I discovered your blog I started following but never commented. I just want you to know that you are in my prayers, along with your family and David’s and our church (we are connected to camp) is praying for you too. Thank you for sharing such a personal story with so many strangers. Your faith – and your boldness to share it in such a devastating time – is inspiring. Goldie’s life certainly has far-reaching impacts as so many are able to read your words. Thank you for sharing Goldie with us. I’ve never met you or David but your family has been in my heart and prayers as I lay in bed each night. My heart absolutely shatters for you. May the peace of God that transcends all understanding, guard your hearts and your minds in Christ Jesus. Love and prayers to your family. "It was unearthly to feel my child’s soul leave and meet Jesus." I have been following closely, praying, and experiencing heartbreak for you and your family. Thank you for your courage in sharing your experience so openly. You have touched and inspired me and I send you my love and deepest condolences. Oh Bethany! My heart truly aches for you and your family. I have been following you on Instagram for years and have been so touched by your story. I am so so sorry for your loss. You will be in my prayers! I’m so sorry for your loss Bethany but I’m so proud of the way you and your family handled this tough situation. God bless you! You’re in my prayers. You are so unbelievably strong and show so much grace in such a hard time. Thank you for sharing your journey I am praying fo you and your family! I am so sorry for you loss and so inspired by your light and courage moving forward into this new life. Sending you and your family hugs with no words. You are the most inspiring and beautiful family. I am so sorry for your loss. Deepest sympathy to you and your family. I am in awe of your courage and grace during this unimaginabley difficult time. Thank you for sharing your experience, it and Goldie have touched touched my heart. Prayers are being sent your way from Austin, Texas. Your story and sturdy faith are truly inspiring. I want you to know that because of your sweet angel and your beautiful story I sit here worshipping our God tonight when I otherwise would not be. Thank you Goldie. I came across your story and it has opened the floodgates of my heart. I sit here in tears thinking of you all and thanking the Lord for your faith, courage and beautiful light. Your little life has truly touched mine Goldie. I can’t wait to meet you one day. Thank you. My heart aches for your loss. Goldie will not be forgotten and her life was full of much love and purpose. She has reminded me to hold my babies tighter and appreciate each moment I have with them. I read your blog and Instagram and wanted to thank you for sharing your life story. My thoughts are with you and your family and I am sending love, strength, and peace from North Carolina. I read your story, and I cannot imagine the heartbreak you have endured. I also read this, and find myself saying "I want to have faith like her". I cannot put into words how inspiring it is to read your story, and hear about the peace you have, the closeness you feel with God and the strength that you have. Thank you for sharing such a personal experience, and for being so open. Your little girl has touched my life, and I’m sure so many others’ as well. You are an inspiration to all! I am so moved by all that you and your family have endured over these past ten days, and your positive outlook, without a trace of bitterness. Now your darling baby girl is in the arms of Jesus, safe and sound, and free from pain. Bethany, you are a gifted writer, with the ability to convey your emotions in such a way that the reader feels almost as though they are in that hospital room with you. Perhaps one day you will publish a book about this heart-breaking experience for other grieving parents. My parents lost three babies at the moment of birth, including the first and only baby boy who stayed alive for five days. We grew up knowing their names, and until this day, we think about them on their birthdays days. There is not other way that they , my parents could have gone trough it without knowing in an intrinsic way about God’s love, God’s will for them and us (me and my sisters are science miracles) I know by being the daughter of a woman that saw their babies died in her arms three times, that you and your family are God’s precious creatures and so special in his hand. He will give you the strength to continue your purpose until that memorable day when you will finally be reunited with her forever. i absolutely can not imagine all that you have felt and been through, but i am sending love and prayers to your sweet family. you guys seem so strong and faithful to the Lord, and i know goldie’s story will be one that inspires many and helps others going through difficult times! it’s an incredible story that you have shared here and you really honor your sweet goldie with your beautiful writing. My deepest and most heartfelt condolences to you and your family. You are all so brave and strong. Little Goldie was so lucky to have you as her mother in her short life. You gave her all the love in the world and I am sure that she felt every last bit of it. You and your family are in my thoughts as you begin the process of healing. Thank you so much for sharing your heart and allowing us to mourn alongside you. I am keeping you sweet mama and your family in my prayers. Praying that God’s peace and love will continue to carry you through this time of healing. I have followed your blog for awhile.. you are beautiful and wise. I can’t wait to see all that God continues to do in your life. I have only been following your instagram for about a month but I want you to know you have been such an inspiration for me. I’m sitting in my office on my lunch break sobbing reading your blog. You and your husband are so strong in your faith and so brave to allow the public into the most intimate of family decisions. Although you are a stranger I have found myself wondering how things have been for you and how you are handling everything. I am praying for your family. How are you healing? Do you have any health issues from labor and delivery? I wish I could come through the computer and give you a big hug. Thank you this inspiring message. God is using your family in great ways. From the music of We Are The City to the family ties within. Goldie is like a shooting star; beautiful, a short glimpse of Heaven. Thank you for being so honest and sharing this tough time with everyone. I’m sure that Goldie’s purpose on earth was to help another family transition the same way that you, David and Poppy have had to. It must be so comforting knowing that Goldie is with Jesus, and is probably laughing with joy right now. I also believe that you’re allowed to tell people that you have 2 children. What a useful tool to be able to share the gospel and love of Jesus with someone, explaining about Goldie in Heaven. Love and blessings to your all Bethany. Your story will be put to good use in this hard world, I’m sure. This video made me cry! I am praying for your family stay strong and sending love!! I can’t even imagine…except I can, a little, and it’s heartbreaking. But to know the comfort of Heaven as Home! My prayers are with you, and I think of little Goldie walking on the streets of gold with Jesus…there is nothing ‘fairy-tale’ about that to me…in fact, I can’t think of anything more real. Bless you all, and I’m sorry she couldn’t stay longer. She is beautiful. Thinking of you and yours as you proceed in time and mourning. All of my best wishes for peace and love. Your family is still in our prayers <3 We are touched beyond words by your example of strength and hope and rest in Christ alone. I am so terribly sorry you and your family’s loss. You may find some comfort from this incredible organization. my heart aches reading this post, but your faith is so very inspiring. I am blessed so much by you as my sister in Christ, your words give life and peace. I am praying for His overwhelming comfort over you and your beautiful family. Rest with your abba sweet Goldie, sweet precious Goldie. Our mutual friend Joti shared your post with me. I have no words to express how sorry I am for your loss. Your daughter was so precious… 10 days is not enough time with her. No parent should ever have to endure what you are going through. I pray that God will hold you through the coming months as you grieve and learn how to live in your new "normal." "Can anything ever separate us from Christ’s love? Does it mean he no longer loves us if we have trouble or calamity, or are persecuted, or hungry, or destitute, or in danger, or threatened with death? I’ve been thinking about you for the past few days, hoping that this blog wouldn’t come online. I’ve been reading it with tears in my eyes and a broken heart in my chest. I think you are so brave for sharing this story with us and for the way you handle this extremely painful and hard situation. It’s beautifull to see how very, very, loved this precious little Goldie is. Words can not express how sorry I am for you. I wish you all the strenght, love and courage in the world. Eventhough we don’t know each other, I know that Goldie and her family will stay in my head an heart forever. You and your beautiful family are complete strangers to me, but have been in my prayers for the last 10 days. I truly do not think I’ve prayed harder for a tiny human being and her family to find peace and comfort than I have for you all. God blessed you with an angel and although you didn’t have much time with her on this Earth, she will always be with you and watching over you. I am terribly sorry for the loss and pain you and your family are going through. I hope that through all of this, you and your family can find the strength to carry on in this big world. May God carry you, your husband, and daughter high on his shoulders when you’re feeling weak and down. You continue to be a part of my prayers. Goldie was beautiful and blessed to have such a wonderful family! I thank God she is no longer suffering and in pain. God gained an angel. My heart breaks for you and your sweet sweet family. You are such a strong momma and I hope to have the courage and strength you have shown someday. May you find peace and happiness soon. I cried. You are such a strong woman! Jesus loves you and your familie so much! It is heartbreaking. But I pray God will heal your hearts and fill it with joy, love and peace. I continue to pray….. Your family’s loss has gripped my heart so intensely. I carry pain for another mama I don’t even know. Please Heavenly Father, hold her so near, I just keep repeating over and over. I cannot find any other words of comfort for you. I can only pray this simple prayer. I do know the power of prayer is, in fact, the most amazing thing and God is listening. He is there for you. Stay strong! bethany. thank you for sharing the inner most deepest part of your heart with absolute strangers. you and your family’s faith in christ is exactly what this world needs and i am so encouraged to see it in action. i am so sorry for your loss but i too believe that goldie is with her heavenly father, free from pain and made completely perfect. i believe that god does grieve with us. so i hope that in this time of grieving you all will be comforted by the only one who truly understands our hearts. i know most of us have never gone what you have gone through, but please know that we all have a gaping hole in hearts as we cry along with you. you will never forget, but know that god will make you both whole again. praying for peace and comfort during this time. I sobbed through this. Sending you all so, so much love. You are absolutely amazing, and your faith in The Lord is incredible and encouraging and I wish more people would place their trust in Him the way you did. He knows what He’s doing, and He never left Goldie’s side. He won’t leave your side as you grieve for your precious baby girl. Baby Goldie is free from pain, safe in His arms. I’m praying hard for our Heavenly Father to comfort you and bring you peace during this difficult time. I cannot imagine this. My heart breaks for you and I will keep you and your precious family in my prayers. Thank you for boldly sharing your story. Keep the faith. My son was born early with a very rare heart arrhythmia that was undiagnosed during my pregnancy. 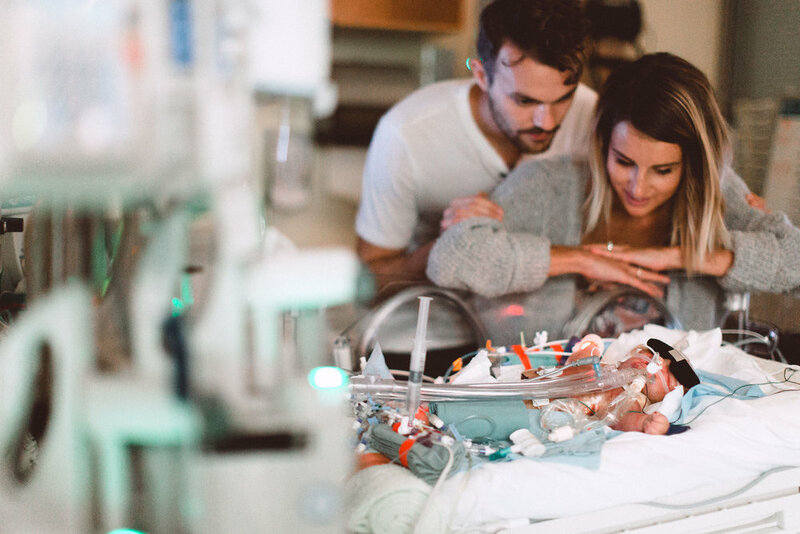 He was in the NICU for 5 days before passing away and your story brings back so many memories, some painful, but mostly the peace we also felt when we knew our son was now in heaven with his Father, free from all the pain of this world. Thank you so much for sharing the beautiful story of your sweet baby girl Goldie. You and your family will be in my thoughts and prayers, that you feel peace and love and hope and comfort in the midst of this heart breaking time in your lives. I just came across Goldie’s story today. Wow, how incredible and powerful. And how wonderful that your family is able to praise the Lord even through what seems like the darkest, hardest of storms. I will be praying for you and your family. That you continue to feel peace, comfort, joy, love – especially on the really hard days of heartache and grief. I can’t even imagine! Your words are such a strength to us all. Prayers are with you! I am reading your emotional journey and crying for all you had to go through and endure in the last couple of weeks. I cannot image how broken your heart is right now, even though I don’t know you, I want to wrap my arms around you and give you the biggest hug!! My heart goes out to your family. Still read this entry again and again from time to time. Your strength and peace in God is so inspiring. We won’t forget about Goldie either. Thank you for sharing her with us. Dear Bethany. No words can express how sorry i am. Thank you for sharing this personal thoughts with everyone that follows you. As a mother, my heart goes out to you. No matter what the circumstances are, losing a child is something as a mother you hope to never have to go through. I am so sorry for your loss. Hugs. I’m writing this through tears and tears of hurt and sadness for you all. I am a mother of two girls, the youngest has just turned 4 months now. She lays next to me now in her basinet asleep, snoring, precious. You are so strong, so brave. I don’t really know what to say after reading this but I just want you to know that your journey has changed me, I know it. It should go without saying that I appreciate and am thankful beyond words for my girls, but reading about Goldie and her family, I will have more love and appreciation for them than I ever felt I did! For Goldie. I stumbled upon your blog through Instagram, and then found your story about your precious Goldie. I read it all, through tears. From one mom to another, I can’t imagine your loss. But I do know our God is good, He is sovereign and He takes care of His children. I will be praying for your family, that you feel much peace, joy and healing in the months to come! Thank you for sharing your story; Goldie Bloom’s beautiful story. May God be glorified and Jesus be honored. May the Holy Spirit be your comforter. Always. I am sitting in my lounge room in tears reading your post… I had a friend go through a similar experience 2 years ago and never knew the right thing to say to her… I never understood what she and her husband went through… I know you are different people and she may not have reacted exactly the same way as you but thank you for writing such a beautiful and clear piece on the loss of your daughter. I am so sorry for your loss. I follow you on Instagram and my heart has been broken for your family since I read the news. Only today was I able to read your blog post and I have never been so overwhelmed with emotion reading anything in my 31 years. As a mother my heart breaks for you so deeply, but I am so in awe of your faith and strength. Thank you for sharing your story…you are such an inspiration. Much love and many prayers. As a mother my heart breaks for you and your family. Your faith in the Lord makes my heart filled with joy and I admire you! Bless you and your days ahead. Thank you for sharing your story and your faith! My daughter was in a similar situation at birth. 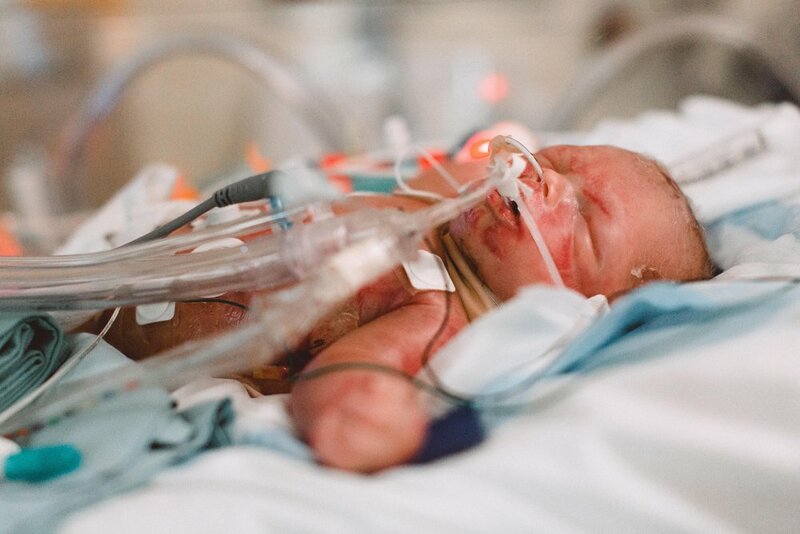 We are about to celebrate her first birthday, and every day since she came home from the NICU, I’ve thought about the mothers who did not get to bring their babies home. My heart is with you every single day, at least for a moment. Thank you for your beautiful, inspiring story. I just came across your beautiful story and am so touched. I am a first time mother to the sweetest boy who sometimes despite my greatest efforts gives me such a run for my money as his mother I feel worn down completely. The tradgity and strength of your beautiful family helped put life in perspective it its most simple form. You are an incredibly inspiring mother with a story of love and motherhood that is sure to strengthen so many who hear it. Thank you for sharing such a volnurable and real experience, you have given me an uplifting reminder of the immense gift it is to be a mother. I came across your post as I am laying in bed at 36 weeks pregnant. You, as a family, are incredibly strong. I work in the health care field and no death is ever easy, let alone a child you have waited to meet for 9 months. Your story touches my heart in so many ways. It makes me stop and remind myself to be thankful, thankful for the time we have together, despite the length of time it may have been. Thank you so very much for sharing your challenges, your lows and your highs. I imagine there will be any any different challenges my husband and I will face as first time parents. Your story reminds me no matter how big or small, together with God, your family can make it. Thank you again for sharing such a heartbreaking yet humbling experience… so happy I came across it. It’s all just so real still. I’m dwelling in my pain and tears and remembering this all so clearly. I miss her so much. Remembering and grieving with you. Hey i came across your Blog because i wanted to know what has happened to Goldie when u gave birth to her. It is so impressive to see how u were able to deal with it. I’m 25 years old and my Father died at an age of 54 3 months ago due to blood cancer. I am not able at all to see what purpose god might have had to take him away from us. Everything seemed to be okay and within one Week his condition got worse. We miss him every Second more than we could tell and i completely lost my faith to god. My Father was the best Person i have ever known and to See my mum so heartbroken is nothing i thought i would ever Go through. I can’t image that there could be any purpose for god to let this happen. I wish u all the best for your pregnancy and i am so happy for you. Some Kind i could Imagine that god sent you this Rainbow Baby because u endured so much pain the last year even if for me there is no god any longer. I am first tie visitor on your blog and I am really enjoying your posts! I appreciate your tribute to your little Goldie. I am at the tail end of my first pregnancy and I could never imagine what is was like to go through this but I really do love how beautifully you expressed it. I can’t wait to continue to read as your family lives and grows, all while carrying this little one in your hearts. A new season in a new place.